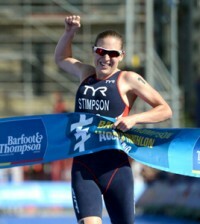 Triathlon is not a straightforward sport. The three disciplines, transition between them and the myriad of equipment required means even the most experienced of triathletes can get nervous come race day. 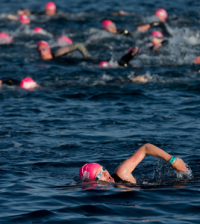 Here, Sportsister brings you some race day tips for a triathlon newcomer. Make sure you’ve read up about the race, online or in your race pack. Familiarise yourself with the course, the rules and the arrangements to avoid any nasty surprises. Start your preparation early, in terms of physical and mental training and organisation. Write lists of the kit and equipment you’ll need. Visualise the race itself and the day as a whole. Imagine any problems you might encounter and how you’ll solve them. Get your bike checked over by a bike mechanic to ensure its safe and in working order. If you get a puncture during the race you’ll need to be able to fix it yourself, so you’ll need tyre levers, a spare inner tube and a pump to repair it. Avoid a stressful rush on the morning of the race by allowing yourself plenty of time. Don’t under estimate how much has to be done. Envisage everything you need to achieve before the start of the race and how long each of these things is likely to take, then work backwards from the start time leaving a bit of extra leeway just in case. Then you’ll know what time your alarm needs to go off! Allow about 20 minutes for a relaxed breakfast two or three hours before the race starts. Go for something simple like toast and jam, porridge and/or a banana and keep sipping water or a sports drink to keep hydrated right up until the gun goes off. Don’t get lost on the way to the venue. Print off a route planner or set up the sat nav the night before, or even do a recce in advance if it’s not too far away. Keep in mind that roads may be closed and athlete parking may not be near the start/finish/transition area. Pay attention to the race briefing even if you’ve read all the race info in advance. There may be last minute changes to the course or additional safety notices that you can’t afford to miss. After registration, attach your race numbers to all your gear then head to transition to set up. Often officials won’t let you into transition without your race numbers on and without a helmet on your head (to demonstrate that you’ve got one). Before the day, check what time transition closes so you don’t miss it altogether. At some races T1 and T2 are separate and at different locations. Leave plenty of time for your final Portaloo visit – there’ll probably be a huge queue. And, like any event big or small, the loo paper will probably have run out so take your own just in case! Leave at least 15 minutes to warm up. Do enough to break into a sweat and get your blood moving. If possible, get into the water and swim a few short laps so you’re not jumping in cold. But make sure you stay warm between that and starting the race for real. It takes time to get your wetsuit on, walk to the waters edge and make the final preparations and adjustments. Every race has a frantic start so be ready, not half asleep. More often than not your spot in transition is pre-allocated, normally in number order, but if you do get to choose, select a spot that’s easily identifiable mid-race. In either case, short of hoisting a flag or a bunch of helium balloons, find a way of differentiating your kit from all the others so you don’t lose time searching for it. 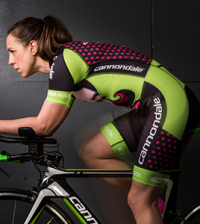 Layout your transition area to be as effective and efficient as possible. Think through and practice the layout in advance. You may want to put down a towel to make footwear changes more comfortable and have a bottle of water on hand to wash away any debris you may have picked up. Undo the straps of your helmet and, together with your sunglasses, rest it on your handle bars or on the floor on top of your bike shoes. Make sure your bike shoes are loose (for triathlon, use ones with simple, Velcro fastenings although you can race in trainers and with standard pedals). More experienced triathletes have their bikes shoes attached to their pedals and slip them on once they get moving. Open the tongue and laces of your running shoes so you can put them on easily, or use a specialist sports lace fastening to save time, e.g. elastic laces. If it’s raining or looks likely to, lay a plastic bag over your bike seat and over your kit to stop it getting wet. Some triathletes use a plastic box with a lid which keeps kit dry and makes it easy to transport. Make sure you thoroughly check out the route through transition from swim to bike and from bike to run. Walk it, examine your kit and mentally run through what you’ll do to make sure you haven’t forgotten anything. 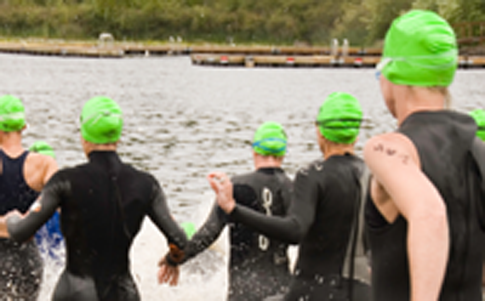 Whether it’s an open water or shore start, the beginning of a triathlon’s swim leg isn’t always pleasant. No triathlete would intentionally harm another but once the gun goes off there’s usually a scrum. To avoid this stay over to one side or at the back if you’re not racing competitively. If there’s a buoy turn involved, work out your route prior to the start and stay on the outside to avoid a squishing. Wear your swim goggles under your swim hat to better secure them. If it’s cold, you might want to wear two swim hats to insulate your head. Do not leave your transition spot in T1 without your helmet on and strapped up, nor undo your helmet before you have reached your spot in T2. If you do, you’ll be penalised by Race Officials. Don’t try to save time in transition by skipping out a piece of equipment or kit. Wearing no gloves in winter can mean wind chill on the bike or run gives you frozen fingers and not wearing socks can result in your race ending due to blisters. Whilst racing aim to take on some fluid every 15 minutes. The longer the race the more important it is to use products which are isotonic and contain energy (rather than just water) like sports drinks and gels. There’s no need to eat during a race unless it’s very long as your body won’t have time to give you the benefit of the energy. Set your own pace and stick to your race plan – don’t try to match any fellow competitors. This goes for each of the three disciplines. After the race, make sure you do a warm down even if it’s short. Drink a recovery shake and eat some good food as soon as possible. Learn from each race experience to perfect your pre-race and race plan. Practice makes perfect and your confidence will grow.